Safety Edges are an essential piece of automatic gate and door automation, ensuring that people and property are kept safe and unharmed before, during and after operation. DRE30 – Available assembled to required length (up-to 3m) or in 25m reels. DRE50 – Available assembled to required length (up-to 3 m) or in 25m reels. Our resistive safety edge’s stand out from other edges because they are easy to fit and can easily be cut down to correct lengths. 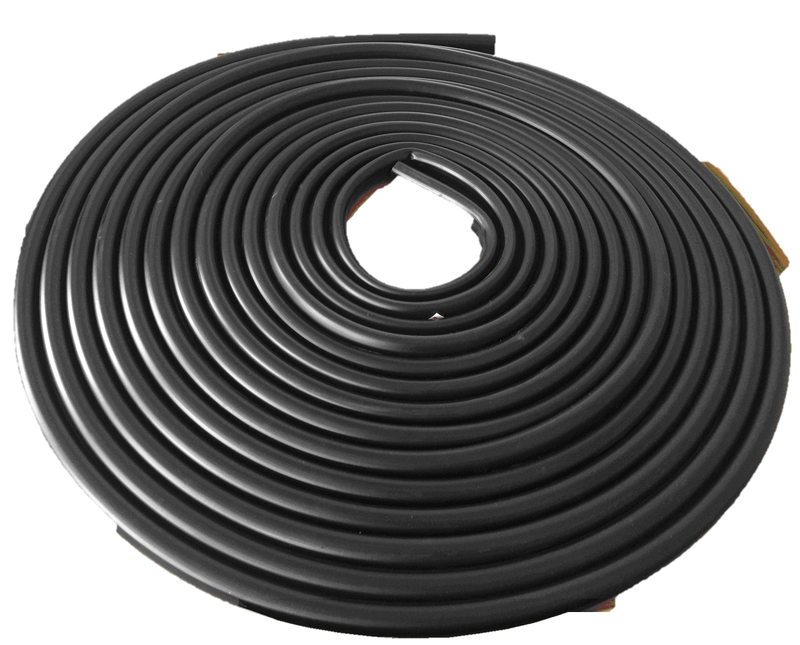 The safety edge is rubber extrusion with a inner conductive polymer. An 8KΩ resistor is in the end cap, when pressure is applied to the safety edge, it short circuits. Allowing for hazards to be detected. Our mechanical auxiliary protection safety edges can be installed in systems compliant with EN12453. The Yellow Edge is a safety device designed to prevent accidents caused by the movement of automatic closing systems. 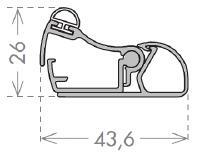 Internally hinged, the mechanism with it’s rubber profile guarantees greater absorption of impact and immediate reaction of the microswitches. Taught wire safety edges are a simple mechanical method for detecting pressure along a rubber extrusion. Though the form is for from attractive, a consideration on domestic gates, the deep deformation of the rubber provides superior protection. A wire inside the leading edge of the rubber extrusion is held in tension. Any pressure on the rubber pulls on the wire operating the microswitch. 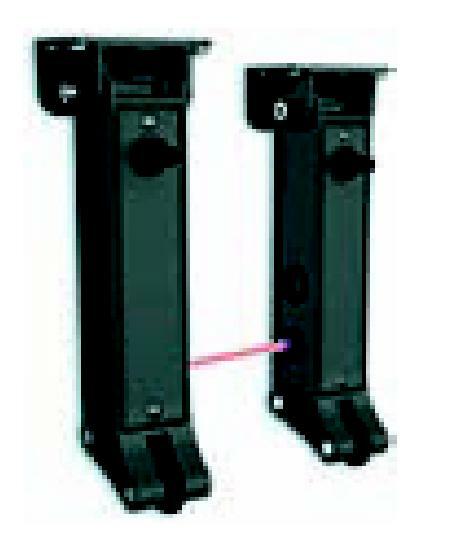 Special two rotating end supports make the safety edge sensitive to side loads as well. A second “fail safe” microswitch monitors the wire for breakage. The resultant output is a single N/O contact. An 8K2 resistor can be fitted for 8K2 inputs. No power is required, so a 2 core cable is sufficient. The DTR may be used to make a wireless safety edge. DTE215, DTE220, and DTE225 are 1.5m, 2.0m and 2.5m safety edges. They are easily cut down to shorter lengths, but the tension in the wire needs to be rest correctly. More than safety edge can be wired together in series, with appropriate adjustment for 8K2 resistors. 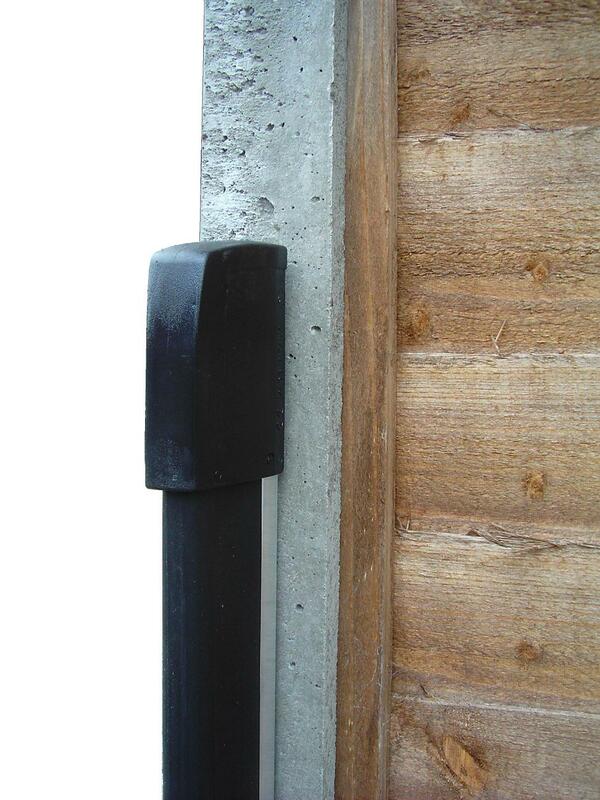 Safety edges fitted to the moving edge of a sliding gate cannot easily be connected by a hard wiring. The DTR is a two channel radio link specifically designed for safety devices. The radio transmitter fixed to the gate or moving part is battery powered. There are two 8K2 standard inputs which can accept N/O or N/C contacts. 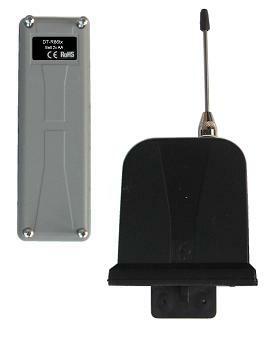 The larger receiver unit can be mounted in or near the control panel up to 10m away from the transmitter. Transmission signals are sent all the time to prove the system is working. If the signal is lost, the gate must remain stationary. This is therefore a Cat.3 rated safety device. There are 6 diagnostics LED’s in the receiver giving the status of the two edge inputs and the state of the transmitter battery. Two relay outputs are available to the controller; one for the edge, and the other confirming the system is working correctly. The receiver runs from a 12-24V ac/dc supply. NoTCH is not a safety edge, but has the same function. Specifically for roller shutters, NoTCH is a safety photo-beam that is suspended under the bottom edge of the shutter. When the legs touch the floor, they roll out of the way. The two legs are mounted on the ends of the shutter bottom edge. As with any photocell, both legs require power, so a cable needs to be run along the shutter bottom. One end then needs to be connected to the shutter control panel using a spiral coiled cable. These are wired as conventional photocells. Power is from a 12V or 24V supply, ac or dc. The receiver has a SPDT contact. Maximum shutter width is 10m.